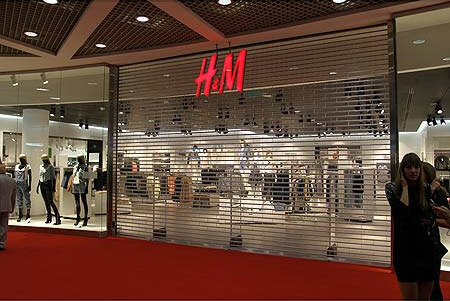 On 11 March, the Swedish clothes and fashion chain, H&M, will be opening the first of six planned stores in Israel. The familiar red H&M sign will be viewed in the Malcha shopping center in Jeruslaem, a municipality which has to continuously attempted to expand its control over occupied Palestinian lands and the oppression and removal of its Palestinian population. 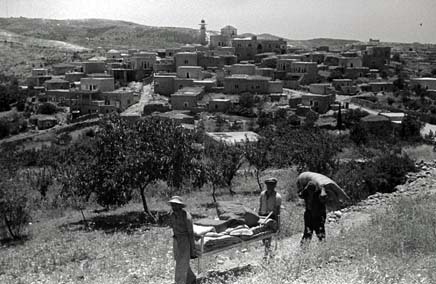 Moreover, the land upon which the Malcha shopping center stands is part of the al-Maliha Palestinian village, which was completely ethnically cleansed in 1948. 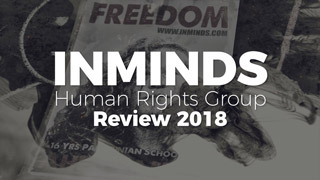 This means that H&M is investing in Israel only a short time after the Goldstone report and while international human and civil rights organizations - some which H&M have cooperated with in various capacities such as UNICEF and the U.N.—continue to report about ongoing Israeli crimes against international law. 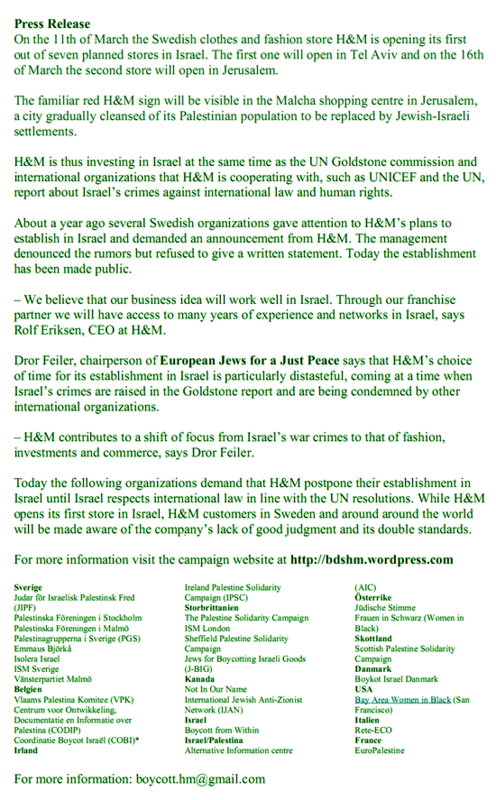 About a year ago, several Swedish organizations gave attention to H&M’s plans to establish stores in Israel and demanded an announcement from H&M. The management denounced the rumors but refused to give it in writing. Today the plans are public. “We believe that our business idea will work well in Israel. Through our franchise partner we will have access to many years of experience and networks in Israel,” stated Rolf Eriksen, CEO at H&M. upon which the Malcha shopping center was built. 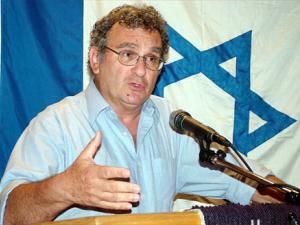 Dror Feiler, chairperson of European Jews for a Just Peace, says that the choice of time for the establishment is particularly distasteful at the moment when Israeli war crimes have been raised by human and civil rights organizations and the Goldstone report. “H&M contributes to a shift of focus from Israel’s war crimes to that of fashion, investments and commerce,” says Dror Feiler. Today, the following organizations demand that H&M postpones their establishment in Israel until a time when Israel respects international law in line with the U.N. resolutions. While H&M opens its first store in Israel, the H&M customers in Sweden will be made aware of the companies failing judgment and double standards. 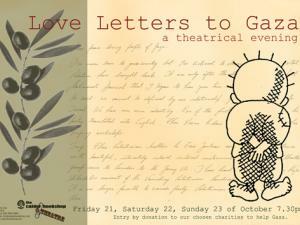 Contact Person: Jonatan Stanczak (Jipf), tel.070-7908296. Jonatan.Stanczak@gmail.com . 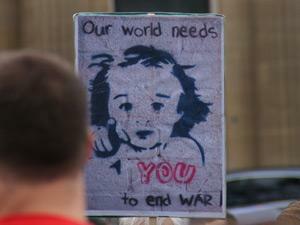 Protests are being arranged around the world. Inform us about your intensions and we will publish it on this page and disseminate the information through other channels such as our group and event on Facebook. 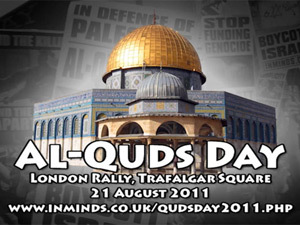 If you plan to protest you are free do download and use the material on this page in any way you desire. * Umeå, Sweden: 11th March 16:30-18:00. Meeting near Åhléns at 16:30. * Lund, Sweden: 11th March 16:30-18:00. Meeting outside H&M. More than 24 European and Middle Eastern pro-Palestinian organizations on Thursday condemned the opening of H&M's flagship store in Israel and called to boycott the clothing chain's stores in Europe in response. 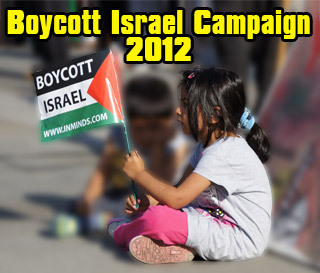 The various organizations, from Belgium, Sweden, Britain, Ireland, Denmark Palestine and even Israel, published a demand on the International Solidarity Movement Web site calling to boycott the European stores until H&M postpone the establishment of its stores Israel "until Israel respects international law in line with the UN resolutions." "H&M is thus investing in Israel at the same time as the UN Goldstone commission and international organizations that H&M is cooperating with, such as UNICEF and the UN, report about Israel?s crimes against international law and human rights, "the website wrote. 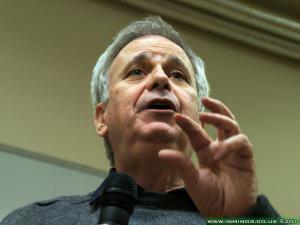 Chairperson of European Jews for a Just Peace, Dror Feiler, told the International Solidarity Movement that "H&M contributes to a shift of focus from Israel?s war crimes to that of fashion, investments and commerce." The call to boycott the European stores came as hundreds of Israelis stormed the new 2,000 square meters store on the third floor of the Azrieli shopping mall in Tel Aviv. 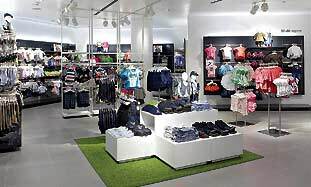 The Swedish clothing chain plans to open seven stores throughout the country, the first of which opened in Tel Aviv, and the second is due to open in Jerusalem, followed by Haifa, Petah Tikva, Netanya, and Rehovot. Swedish fashion chain H&M opened its first store in Israel on Thursday morning, but not everyone seems to be happy about it. The Swedish organization for solidarity with the Palestinians and the Palestinian association in Stockholm have called for a boycott H&M over its decision to open six more stores in Israel and urged the company to postpone the opening until Israel "respects international law." According to a statement issued by the organizations, "The familiar red H&M sign will be visible in the Azriel Mall in Tel Aviv and, a few days later, in the Malcha shopping centre in Jerusalem, a city gradually cleansed of its Palestinian population to be replaced by Jewish-Israeli settlements." About a year ago, several Swedish organizations appealed to the chain following reports that it panned to open stores in Israel and demanded an official announcement. According to the organizations, the management "denounced the rumors but refused to give a written statement." Now, the organizations said in the statement, H&M is investing in Israel "at the same time as the UN Goldstone commission and international organizations that H&M is cooperating with, such as UNICEF and the UN, report about Israel’s crimes against international law and human rights." Dror Feiler, chairperson of European Jews for a Just Peace said that H&M’s choice of time for entering the Israeli market was "particularly distasteful, coming at a time when Israel’s crimes are raised in the Goldstone Report and are being condemned by other international organizations." He added that “H&M contributes to a shift of focus from Israel’s war crimes to that of fashion, investments and commerce." The organizations demanded that H&M postpone the opening of its stores in Israel until the Jewish state "respects international law in line with the UN resolutions." They stated that while H&M opened its first store in Israel, H&M customers in Sweden and around Europe would be made aware of the company’s lack of good judgment and double standards. Hundreds of enthusiastic shoppers waited outside the first local H&M store on Thursday, as the Swedish-owned fashion house opened their first store in Israel in Tel Aviv’s Azrieli Center. Immediately after the count down, dozens of customers ran into the store, practically trampling two baby strollers in their rush to enter, Channel 2 reported. Passersby managed to save the babies while shoppers continued to flow into the store. “This place looks like the site of a terror attack,” one shopper told the television station. Meanwhile in Europe, anti-Israel organizations in Sweden, Denmark, Belgium, the UK, Austria, Canada and Ireland were planning to demonstrate on Thursday evening against H&M’s decision to open shops in Israel. According to Army Radio, a young Jewish man named Jonathan Sanchek, organized the protests. 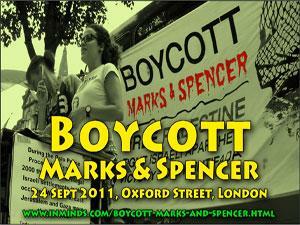 “This protest is about H&M opening in Israel, while it continues the occupation and in settlement construction. 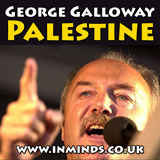 The Goldstone Report was published recently, and we think that one cannot open a store in Israel until it starts obeying international law,” the radio station quoted him as saying. A statement calling on Europeans to protest against the store’s opening in Israel was also published on the palsolidarity.org Web site. “The familiar red H&M sign will be visible in the Azrieli Mall in Tel Aviv and, a few days later, in the Malcha shopping center in Jerusalem, a city gradually cleansed of its Palestinian population to be replaced by Jewish-Israeli settlements,” the statement reads. “H&M is thus investing in Israel at the same time as the UN Goldstone commission and international organizations that H&M is cooperating with, such as UNICEF and the UN, report about Israel’s crimes against international law and human rights,” it added.